While in my opinion there is a clear-cut choice as to what the best residential inverter option is, the correct decision when choosing the type of panel you want to install is not nearly as black and white. We have many different technologies from an endless number of manufacturers. Each manufacturer makes many different modules that vary in efficiency, size, total power, and aesthetics. With virtually all residential systems I will push for Solar Edge power optimizers and inverters, but the type of panel I will recommend can change on a job by job basis depending on many variables. At Pure Power Solar we do not see the benefit of tying ourselves down to one type of panel as most of my competitors will do. At any given time I will have 3-5 different panels to offer my customers. There are certain standards that we won’t compromise on, but having a few options allows me to provide the best possible system design to each client after all things considered. In this blog we will go over a list of minimum standards that any panel you install on your home should check off, as well as digging into the variables that come into play when deciding your best option. When making an investment in solar for your home it is important that you get a good price without sacrificing too much on quality. Everyone has an experience of buying the cheapest possible option only to have it break and cost you more money in the long run. On the opposite end of the spectrum we also can relate to paying to much for a high-end brand name product only to realize it was a waste of money. Most of my customers are looking for the sweet spot, or the most reasonably priced reliable option that is going to be the best decision in the long run. Below is a list to help tip toe this line between a great deal and a cheap product. If you have a panel that checks off these standards you will have nothing to worry about. If you find yourself shopping for solar quotes you will need to get familiar with the Tier 1 Solar Manufacturer’s list. The solar industry releases these rankings every quarter, showing the top 20 or so solar manufacturers in the world. This ranking refers only to the overall financial viability of the company, not the quality of product. 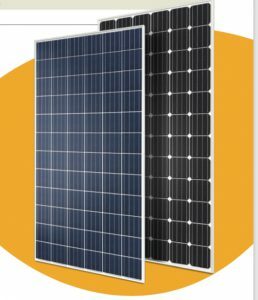 All tier 1 panels have at least a 25 year power production warranty from the manufacturer. Because of the need for a company to still be in business to service any warranty claims, Bloomberg came up with this tier 1 rating system as a way to give consumers confidence in their solar manufacturer’s long-term viability. We prefer our panels to all come from these tier 1 manufacturers as a way to instill confidence in our client’s long-term investment. Having said that there are plenty of large tier 1 manufacturers out of china that produce very generic panels of low quality, so we must look for much more than just a tier 1 panel. On another note, we have many high quality panels produced by companies that have not yet reached tier 1 status. While the tier 1 list is a good starting point we have many other specs to consider. The debate between mono and poly panels has long been decided, there is no question that monocrystalline panels are the way to go. They are more efficient, last longer, and have better warranties. 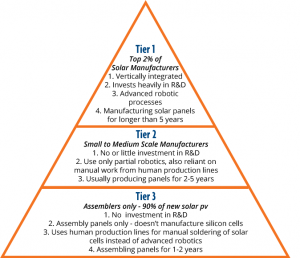 Virtually all of the tier 1 manufacturers produce both polycrystalline and monocrystalline panels, so it is important to make the distinction. This is a side by side picture of a Hyundai polycrystalline module and a monocrystalline module. The panel in front with the blue tint is the polycrystalline panel, and the panel in the back with the black cells is the monocrystalline panel. You will notice many individual solar cells on the monocrystalline version, as opposed to one large grid of cells that have been melted together on the polycrystalline panel. 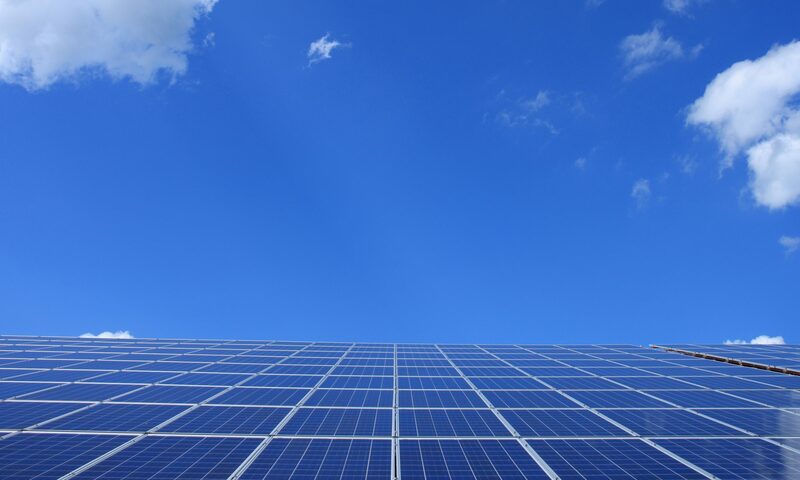 The manufacturing process for polycrystalline panels has a lower cost, making them cheaper in comparison, however they are much less efficient. Polycrystalline panels tend to be between 14%-17% efficient compared to monocrystalline panels which range between 17%-22% efficient. It is important to make sure you are looking at the module efficiency, not the cell efficiency. Panels have 2 different types of warranties, one dealing with the physical/aesthetic state of the panel, known as the “product warranty”, and the main warranty guaranteeing the power to be produced is know as the “25 year power production warranty”. Different panels, depending on the make and model, will have anywhere from a 10-25 year product warranty. This only deals with the physical shape of the panel and is separate from the panels ability to produce as much power as was expected. For instance, if something were to somehow crack a panel, but the power production was unaffected, we would only be looking at an aesthetics issue. In this scenario the product warranty would kick in and replace the panel for free even though it was still meeting its production requirements. Because the product warranty is not need to secure your investment, with many installs we find that a 10 year product warranty is sufficient. Only a few high end premium panels have product warranties of 25 years, and many times the additional cost outweighs the added benefits, but we will talk about Premium Panel Options in the next section. The most important part of the warranty is the power production warranty. Most of the time this covers the panels production for 25 years, but can occasionally go up to 30 years. This part factors in the expected degradation of the specific panel. For example, the most common warranty we see in the market today is a 25 year warranty guaranteeing around 80% production by year 25. This is a linear degradation model, with the panels expected to lose right at 0.8%/year. If at any time during the 25 years the panel drops below the linear degradation line, your power production warranty will kick in and replace the panel for free. Premium Panel Options: Are They Worth It? While most people love a good deal, everyone has had a bad experience buying the cheapest option only to spend more money than it’s worth fixing/replacing it. On the other hand, we don’t want to overpay for slightly better equipment if it doesn’t pay off in the long run. What I have found is most people want the “best price” as opposed to the cheapest, or the top dollar option. Because of this, sometimes clients will find that diving into the premium panel market won’t pay off in the long run, but this is not always the case. Here in America the most common Premium Panels that are installed come From Panasonic, LG, and Sunpower. All 3 of these manufacturers upgrade the standard 10 year product warranty to 25 years. Sunpower is the leader in terms of panel efficiency, with their premium products checking in at 22% efficient and guaranteeing 91.2% at year 25. Panasonic produces the HIT module which checks in at 19.7% efficient, slightly less than that of Sunpower, however Panasonic is able to match their 25 year product warranty and the power production warranty of 91.2% at year 25. For LG, their top of the line module is known as the LG NEON R, and it checks in at 20.8% efficiency, very close to that of sunpower, and slightly above Panasonic. While LG provides the 25 year product warranty as well, their power production warranty is a bit less, guaranteeing 88% production by year 25. With all things considered, most experts will agree that Sunpower makes the best quality panel, however what the consumer will find is that Sunpower systems tend to price themselves out of being a competitive option. With the upfront cost being so much higher than any other option, I rarely find someone in KY who elects to go that route. Between the 3 main panel options, Panasonic tends to be the best cost. With LG and Sunpower costing significantly more than the Panasonic module, but the added benefits not being there, anytime I have a client wanting a premium panel option I will go with the Panasonic Hit Module. In the end, many different panels can adequately meet the needs of any given job. If your panel is tier 1, monocrystalline, and at lest 18% efficient, you can be at peace knowing you have a good product. Previous PostPrevious Residential Solar Inverters: SMA, Microinverters, or Power Optimizer’s?